Frank Pace and his cousin Daniel Pantalleresco were also inside the house when the crane fell about 1:00pm. About 20 firefighters were called to the scene on Schild Street, the Metropolitan Fire Brigade said. 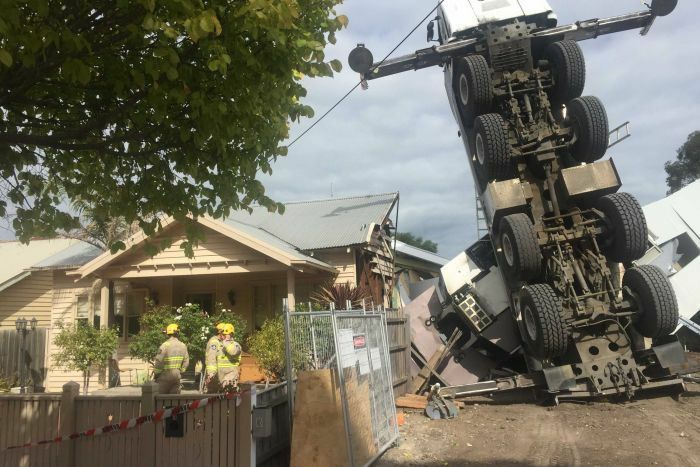 Two men who were working on the site received minor injuries and were treated at the scene, police said. 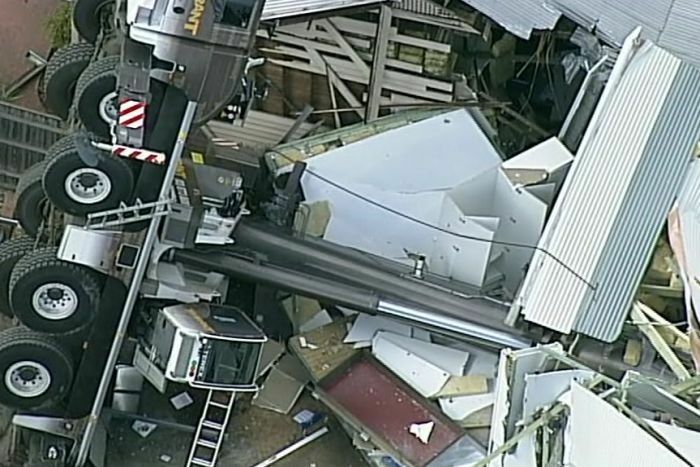 “The crane collapsed onto two houses and, thankfully, everyone on scene at the time has been accounted for,” the MFB said. WorkSafe has also been notified.